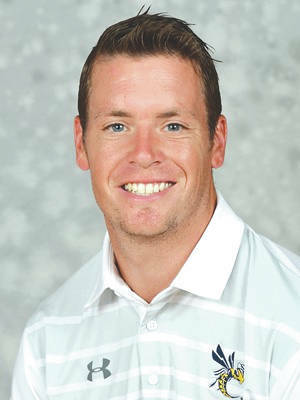 CEDARVILLE — Cedarville University men’s soccer head coach Brett Faro recently returned from the NCAA Division II Identity Workshop held June 13-15 at the NCAA Headquarters in Indianapolis. The NCAA Division II Identity Workshop is a professional development retreat for coaches featuring leadership training, best practices for community engagement opportunities, social media, fundraising and risk management training. This is the third year for the workshop. During the workshop, coaches were shown various resources that are available to D-II coaches, were a part of discussions for academic and membership affairs and gave their input on NCAA policies and procedures. “The NCAA did an outstanding job creating a positive experience for everyone involved and I am thankful for the opportunity to be a part of it,” he said. In addition to the training, the workshop included panels with industry professionals featuring Terri Steeb Gronau, vice president of Division II; Maritza Jones, managing director of Division II; Ryan Jones, associate director of Division II; Roberta Page, director, championships and alliances; and Justin Patton, a leadership coach. Along with the various industry professionals, NCAA Division II athletic directors and coaches presented. Faro is the first coach from Cedarville to attend the workshop. He is entering his sixth season with the Yellow Jackets. Story courtesy of Cedarville University Athletics, yellowjackets.cedarville.edu .